The present paper focuses on the analysis of forest conflicts across the world, with aim of identifying tools for facilitating the analysis of these conflicts. The data on the conflicts were collected using two methods: a manually constructed conflict database covering 300 documented forest conflicts (identified from academic sources, international organisations and non-governmental organisations) and an automatically generated data-set of the frequency of associations in the Internet between the concept forest conflict and the countries names. For each country, the number of forest conflicts documented was compiled, the type of conflict categorised and the frequency of hits linking the country name to forest conflicts. The analysis performed showed that there was an important qualitative relation between the data retrieved automatically from the Internet and the cases documented manually. Additionally, it was found that the location and type of the forest conflict conditioned their quantitative presence in the Internet. In addition, there were areas with high presence in the Internet but with few references by environmental non-governmental organisations (ENGOs) and the international academic community, such as central Asia. Final maps using this data for performing indices were created and discussed. The results and methods presented successfully establish the linkage between information in the web and occurrence of conflicts, which can be the basis for the creation of future indices of conflictivity to incorporate into the current classification. This research draws on data provided by the University Research Program for Google Search, a service provided by Google to promote a greater common understanding of the web. 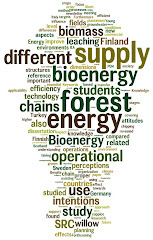 The authors wish to thank the organisers and participants of the Nordic conference on Forest Policy Science for their feedback on an earlier version of this paper. Our gratitude is also to Prof. Paavo Pelkonen, for his valuable assistance and contributions to this paper.